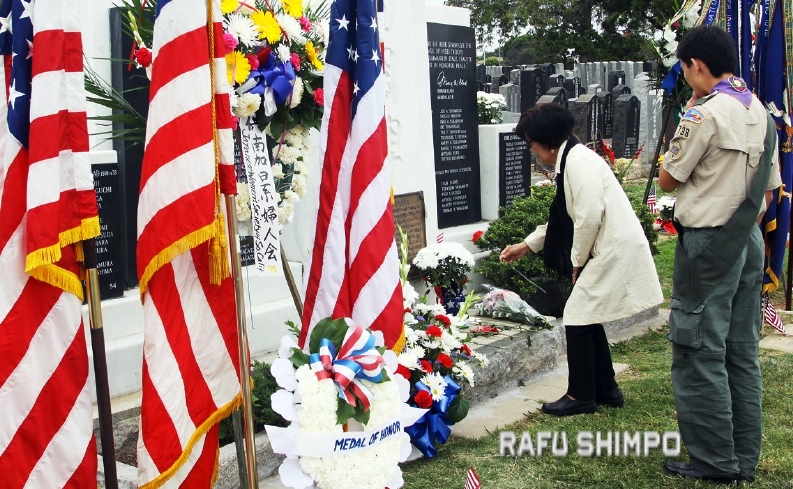 Sally Hamamoto, representing the Gold Star families, makes a floral offering during this year’s Memorial Day ceremony held at Evergreen Cemetery in Boyle Heights. 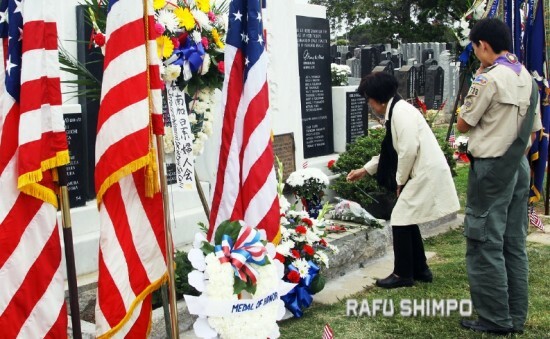 The service was sponsored by the Nisei Veterans Coordinating Council. Below right: Rev. 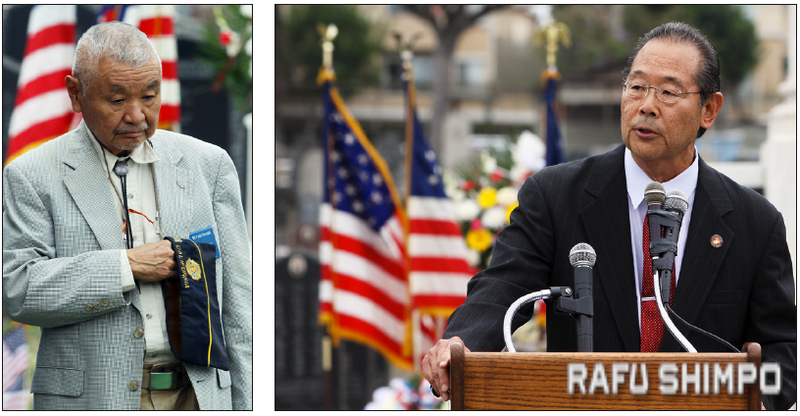 Cliff Ishigaki, a captain in the U.S. Marine Corps and veteran of the Vietnam War, gives the memorial address. Below left: Master of ceremonies Carl Miyagishima takes a moment for reflection as the national anthem is sung.